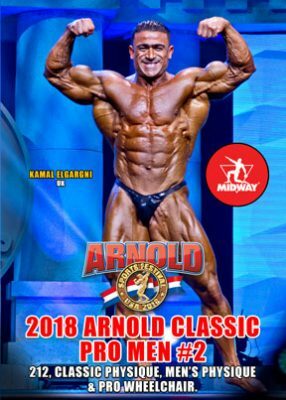 Highlights of the IFBB Pro League events this year included Kamal ElGargni who won in his debut appearance in the Arnold Classic 212. Pro Men’s DVD #2: 212, Classic Physique, Men’s Physique & Pro Wheelchair. The other first time victories this year were William Bonac in his Arnold Classic debut, and Arnold Strongman Classic winner, Hafthor Bjornsson of Iceland in his first major professional strongman victory. 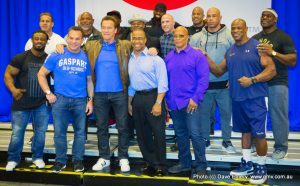 We present the Prejudging and Finals of the Arnold Classic 212, Classic Men’s Physique, Men’s Physique & Pro Wheelchair.